In Tanzania, TechnoServe is partnering with FrontlineSMS, an organization that uses mobile messaging technology to help non-governmental organizations communicate with groups of people in developing countries. In Tanzania, TechnoServe is partnering with FrontlineSMS, an organization that uses mobile messaging technology to help non-governmental organizations communicate with groups of people in developing countries. FrontlineSMS is helping to facilitate farmer training for TechnoServe’s Coffee Initiative in Tanzania. Below, FrontlineSMS Community Support Coordinator Florence Scialom speaks with James Hangaya, Monitoring and Evaluation Analyst at Technoserve, about how he is using FrontlineSMS to help collect the data he needs. This post originally appeared on the FrontlineSMS blog and is reposted with permission. 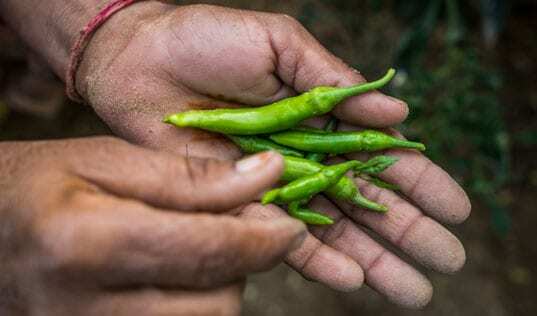 One of the key steps in monitoring and evaluating the success of training is to measure the changes in farmers’ behavior. “We train approximately 12,000 farmers every year” James tells me, “and there are nearly 60 farmer trainers across the country at the moment, running courses for groups of 15 to 20 farmers at a time.” There is certainly a lot of data to keep track of, and this is where FrontlineSMS proves very helpful in TechnoServe’s work. After experiencing the challenges of monitoring and evaluating their training programs using extensive paper surveys, James and the TechnoServe team decided that there must be a more efficient way. This is when they came across FrontlineSMS data collection tool, FrontlineForms. Using this tool TechnoServe farmer trainers are now able to conduct all post-training evaluation via SMS. James explains how they manage this process: “Each farmer that attends a training session is allocated an individual ID. When filling out FrontlineForms, the farmer trainers use this ID to identify which individual farmer they are collecting data on. They answer set survey questions about farmer behavior, using a pre-defined scale of 1-10 to indicate responses. They then send them back to me in the office to analyze the data.” This gives TechnoServe the data they need, to indicate whether the training has had an impact on the way the farmers manage their crops. In addition, farmer trainers are provided with scales to measure a sample number of farmer’s harvest weights. These weights are compared with the farmer’s previous yield, and show how much farmers are able to produce before and after TechnoServe training courses. Collecting these kind of direct indicators of impact is key to monitoring the success of the Coffee Initiative training sessions, and FrontlineForms is allowing this data collection process to be done much more quickly, and at a lower cost to TechnoServe. 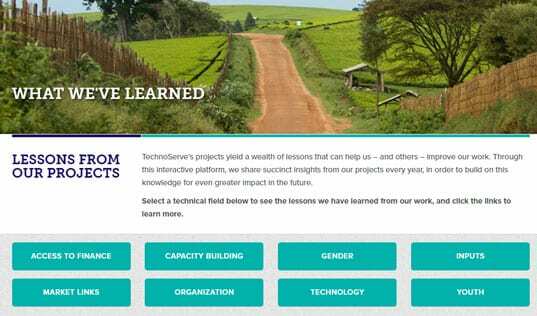 TechnoServe plans to continue using FrontlineSMS for monitoring and evaluation, and are looking at ways to optimize and extend the ways they use the software, too. “In future we are looking to use FrontlineSMS to register farmers for training sessions and track their attendance. 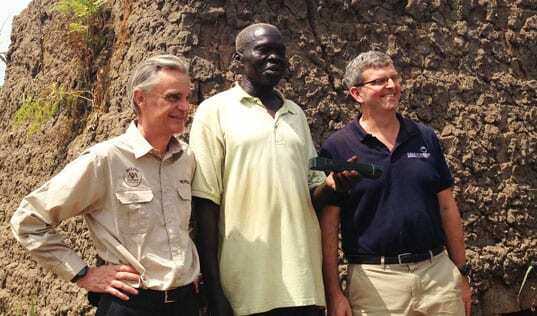 This will allow us to provide real-time reporting from the field,” explains James.